Varicose veins are surprisingly common, affecting up to 3 in 10 adults. However, many of those who are starting to see the first symptoms appear or even have fully developed varicose veins, may not have the full facts about what causes varicose veins. The Varicose Vein Facts infographic illustrates and explains clearly what causes varicose veins to appear, as well as providing the most pertinent information about the problem, such as the fact that the condition is often inherited and that the varicose veins serve no real purpose and rarely get better without intervention. The Varicose Vein Facts sheet also includes a list of common symptoms and goes on to illustrated recommended treatment options, highlighting the advantages of EVLA varicose vein removal (Endovenous Laser Ablation) and the availability of treatment in the NHS vs private clinics. The EVLA procedure offers a series of benefits over traditional vein stripping. It is available on a walk-in walk-out basis with no need for an overnight stay. Recovery is much faster as the procedure is less invasive than traditional surgery, yet results are markedly higher with a permanent success rate of 95.4%, where traditional vein stripping has a much lower 75.7% success rate after 5 years. While EVLA treatment is the most popular treatment option for varicose veins, the London Vein Treatment Centre also offers alternative and complementary treatments for veins, including micro-surgery for the removal of veins (phlebectomy) and foam sclerotherapy injections for smaller varicose veins. The London Vein Treatment Centre is based at Cosmedics’ flagship clinic in Putney at 4 Disraeli Road, just off the high street. 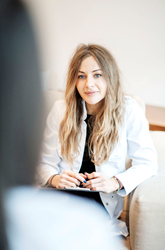 The clinic is highly convenient for patients living and working in Central and South West London and is easily accessible from Surrey with good local parking and public transport links. Cosmedics Skin Clinics was established in 2003 and has built up an excellent reputation for cosmetic and medical treatments with mole removal and vein treatments being a particular speciality. The company achieves high patient satisfaction ratings and have received the WhatClinic.com “Five Star Treatment Customer Service Award” after a series of excellent independent reviews. Eighteen years ago SkinStore.com had the bright idea to take hard-to-find clinical skin care products out of the offices of dermatologists and make them available online—and often at better prices. Today, with over 250 brands and 7,500 products, SkinStore is considered by many to be one of the world’s leading specialty skin care product retailers. They have recently expanded their assortment of premium products to include Christie Brinkley Authentic Skincare. Model, activist and actress Christie Brinkley teamed up with leading cosmetics formulators and scientists working in the field of anti-aging to create a skin care line she is proud to put her name on. Her passionate pursuit of anti-aging led to the creation of Authentic Skincare so she could share her formulas with all women. The cornerstone of the products is the Bio-Copper Complex + IR Defense—an anti-aging complex that fights and prevents the common signs of aging skin. 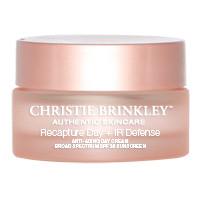 Christie Brinkley Authentic Skincare Recapture Day + IR Defense Day Cream helps lessen the appearance of fine lines and wrinkles plus lack of firmness, as the Bio-Copper Complex works to revive, improve and protect skin. Clinically-proven to lift and firm, Defense Day Cream also protects with broad-spectrum SPF 30. Organoderm skin care, developed by Dr. Edward Domanskis, a Plastic Surgeon in Newport Beach, California, will be exhibiting as part of the Organic Trade Association (OTA) at BioFach Natural Products Fair in Nuremberg, Germany. Organoderm was founded by Dr. Domanskis to provide consumers with effective but safe skin care products. Many of its skin care products are made up of at least 95% plus certified organic ingredients and bear the distinct emblem of the USDA, and none contain any harmful chemicals. BioFach is the world’s largest trade fair for organic products. It is held each year in the month of February in Nuremberg, Germany. It brings together 2,774 exhibitors and approximately 46,700 trade visitors from around 130 countries. Strictly organic products are allowed to exhibit. Germany has some of the most stringent regulations governing this food and personal care products’ segment. The global organic personal care products market is projected to expand at a compound annual growth rate of 9.6% between 2012 to 2018 and almost double to $ 13.2 billion in the same period, according to a Transparency Market Research. “I am honored to be exhibiting at BioFach because the regulations that are in effect in the European Union regulating natural and organic products are much more stringent than they are in the United States,” said Dr. Domanskis. Organoderm skin care, a part of Natural Bio-Active Products, LLC, has pioneered in the organic personal care market and has consistently been honored as one of the leading personal care companies in the natural and organic marketplace. 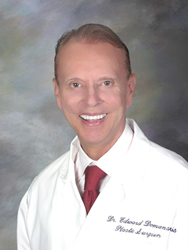 “My goal has always been to provide my patients as well as consumers with premium skin care products that can truly make a difference in rejuvenating, repairing and maintaining one’s skin but, yet, at the same time, not causing harm to them,” said Dr. Domanskis. The Environmental Working Group has rated the safety of skin care products in their Skin Deep Guide to Cosmetics and the potential of their ingredients for causing harm, such as hypersensitivity, reproductive, neurological abnormalities and cancer. Not only do Organoderm skin care products not have any harmful ingredients, but they also are devoid of any nano particles. “These can easily penetrate into the deeper layers of our skin and cause more harm,” said Dr. Domanskis. Organoderm skin care products are also non-GMO and provide a unique recycling program. Organoderm Hand Sanitizer has recently gained notoriety by being the first successfully tested hand sanitizer to be effective against the Ebola virus, Zaire strain. “I will continue to formulate effective products to meet the needs of those who are concerned with their health and safety,” concluded Dr.Domanskis. Abbe Laboratories proudly announces the addition of tube filling to its ever expanding manufacturing capabilities. We can fill our stock private labels formulations into laminate and plastic tubes ranging from 25ml to 300ml. Whether you already have a product and need it filled into tubes or want one of products, with your name on it, not a problem; work with our team to get exactly what you need. We have aligned ourselves with various tube, label & decorating companies to accommodate a wide variety of customer needs. ABBE Laboratories, an FDA-registered, cGMP-compliant manufacturer of Private Label, OTC and cosmeceutical skin care formulations. Servicing Spas, Medical Offices and marketers. Paraben-Free formulations. Actives include Peptides, Vitamins, AHA’s, Retinols, Anti-Oxidants, etc. Creams, Lotions, Serums, Gels. Small to medium runs filled in Tubes, Bottles & Jars. Your formula or ours. Creative formulating. Eighteen years ago SkinStore.com had the bright idea to take hard-to-find clinical skin care products out of the offices of dermatologists and make them available online—and often at better prices. Today, with over 300 brands and 9,000 products, SkinStore is considered by many to be one of the world’s leading specialty skin care product retailers. They have recently expanded their assortment of premium products to include PRTTY PEAUSHUN Skin Tight Body Lotion. L.A.-based celebrity makeup artist Bethany Karlyn whipped up a special concoction in her kitchen before each photo shoot. The reactions of her clients and the urging of a friend convinced her to make her special potion available to the public, and thus PRTTY PEAUSHUN was born. Subtle light-reflecting particles give the skin a beautiful glow, but the benefits go deeper. The 100% natural formula is infused with a powerful blend of botanical extracts that soothe and heal the skin, while lifting, firming and tightening, as well as helping to diminish the appearance of cellulite, stretch marks and varicose veins. Available in neutral as well as shades from Light to Deep Dark, PRTTY PEAUSHUN can give anyone a gorgeous, flattering glow. Physician-founded in 1997, SkinStore carries over 300 premium brands of skin care, cosmetics, hair care, beauty tools and fragrances from around the world, including high quality products normally found in luxury spas, fine department stores and dermatologist offices. An esthetician-staffed call center is available Monday through Friday to answer customer questions and help shoppers choose products best-suited for their skin type. The company is headquartered in Gold River (Sacramento), California. For more information visit SkinStore.com, SkincareStore.com.au or SkinStoreChina.com. This acne treatment line is made up of five products that target problem skin and prevent future breakouts. 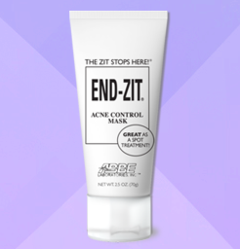 End-Zit® is intended for use on blemishes only. This advanced formulation is designed to dry and aid in elimination of pimples. It is make-up quality for excellent coverage of the blemish. It is unbelievably effective, medicinally eliminating pimples. May be used under make-up or alone. End-Zit® Blemish Control Cleanser: Designed to help control and eliminate pimples and oily skin, this wonderful cleanser begins your daily acne-clearing regimen. 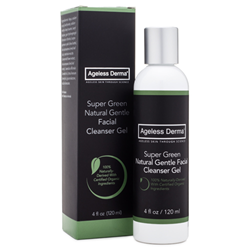 A gentle, most effective, non-oily cleansing wash to remove excess oils, grime, and impurities from the skin. Leaves the face sparkling clean with no greasy feel, maintains proper pH without stripping it of necessary oils and moisture. Remoisturizes with pure glycerin, absorbs excess oil with titanium dioxide. Citric acid helps maintain natural skin pH, while glycereth-7-coconate re-fats the skin creating just the right texture necessary for a healthy, vigorous complexion. Contains no dulling soap that leaves murky film on the skin! Contains salicylic acid, a gentle beta-hydroxy acid exfolliant, to help purify and detoxify the skin. End-Zit® Blemish Control Toner: A unique, mild, refreshing, clarifying and fragrance-free product. End-Zit® Blemish Control Toner contains plant extracts and alpha-hydroxy acids to gently exfoliate, soothe, and rejuvenate skin. All active ingredients are natural and beneficial to the skin. Witch Hazel (Hamamelis) has been used for centuries as a mild astringent and skin conditioner. Kola Nut Extract is a natural anti-inflammatory and anti-irritant. Chamomile Extract is known universally as a calming, soothing herb. A special, naturally derived complex of alpha-hydroxy acids (glycolic, lactic, malic, and tartaric) complete the activity of this wonderful toner. Salicylic Acid, a gentle beta-hydroxy acid, aids the exfoliation process, while purifying and detoxifying the skin. End-Zit® Blemish Control Moisturizer: Designed to complement the END-ZIT® Blemish Control System, this all-natural, paraben-free, non-comadogenic oil-free moisturizer, is composed of an Alpha/Beta Hydroxy Acid Complex, (Glycolic, Lactic, Malic, Tartaric, and Citric Acids), Botanicals, and the wonder moisture ingredient, Red Marine Algae, which is a vitamin and mineral rich Seaweed. Also contains the Anti-oxidants, Vitamin C (Ascorbic Acid) and Japanese Green Tea Extract. End-Zit® Acne Control Mask: A therapeutic, sulfur based mask specially designed for oily, problem skin and clogged pores on the face and body. In addition to reducing the appearance of acne on the face, End-Zit® Acne Control Mask is an excellent treatment for problem areas on the back, chest & shoulders. This mask can also be used as a nighttime spot treatment on the face. 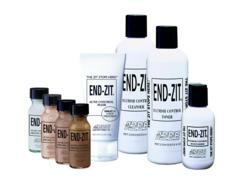 End-Zit® Acne Control Mask actively removes dirt, oil, and dead skin cell accumulations from the surface of the skin. Dries and absorbs excess oils while aiding in maintaining the proper moisture balance and pH of the skin. Contains red-marine algae, a type of seaweed found only off the coast of Maui, in the Hawaiian Islands. This seaweed is composed of many essential minerals, vitamins, and moisture carrying ingredients that are most beneficial for all skin types. This treatment is done once or twice per week only. About: ABBE Laboratories , the manufacturer of the End-Zit® family of products, is an FDA-registered, cGMP-compliant manufacturer of Private Label, OTC and cosmeceutical skin care formulations. Servicing Spas, Medical Offices and marketers. Paraben-Free formulations. Actives include Peptides, Vitamins, AHA’s, Retinols, Anti-Oxidants, etc. ABBE manufactures Creams, Lotions, Serums, Gels. Small to medium runs filled in Tubes, Bottles & Jars. Your formula or ours. Contact us today 1-800-457-0990, e-mail info(at)abbelabs(dot)com, ABBE Laboratories, Inc.
ABBE Laboratories has updated its website to include a section for the Skin Care Professional to browse its product selection. Both retail and professional sizes can be found with the complete list of ingredients. Estheticians, spa owners as well as medical doctors now have instant access to the wide product selection offered by ABBE. 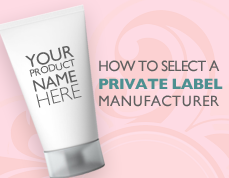 Private Labeling ABBE products is a great way to retain your customers and increase revenue. Whether you need 6 units of an item or 6,000, ABBE can help you every step of the way. Product formulation is also available. About: ABBE Laboratories, the manufacturer of the End-Zit® family of products, is an FDA-registered, cGMP-compliant manufacturer of Private Label, OTC and cosmeceutical skin care formulations. Servicing Spas, Medical Offices and marketers. Paraben-Free formulations. Actives include Peptides, Vitamins, AHA’s, Retinols, Anti-Oxidants, etc. ABBE manufactures Creams, Lotions, Serums, Gels. Small to medium runs filled in Tubes, Bottles & Jars. Your formula or ours. Contact us today 1-800-457-0990, e-mail info(at)abbelabs(dot)com, ABBE Laboratories, Inc.